Jumpsuits are fantastic. WHY? Because they are a one and done solution to dressing yourself. Because they are like an all inclusive vacation. Because they save you from the times wasting task of choosing a top and bottom that 'go together' in the morning. Not to mention they are really flattering and despite the 'less' effort you put it, you end up looking even MORE put together. They can be casual or classy and we are loving all the cropped pants surprisingly. However, if you are on the shorter side, we would suggest avoiding the cropped jumpsuits that have a wide leg cut. For the appearance of long slim figure, go with wide leg to the floor with a comfy wedge. 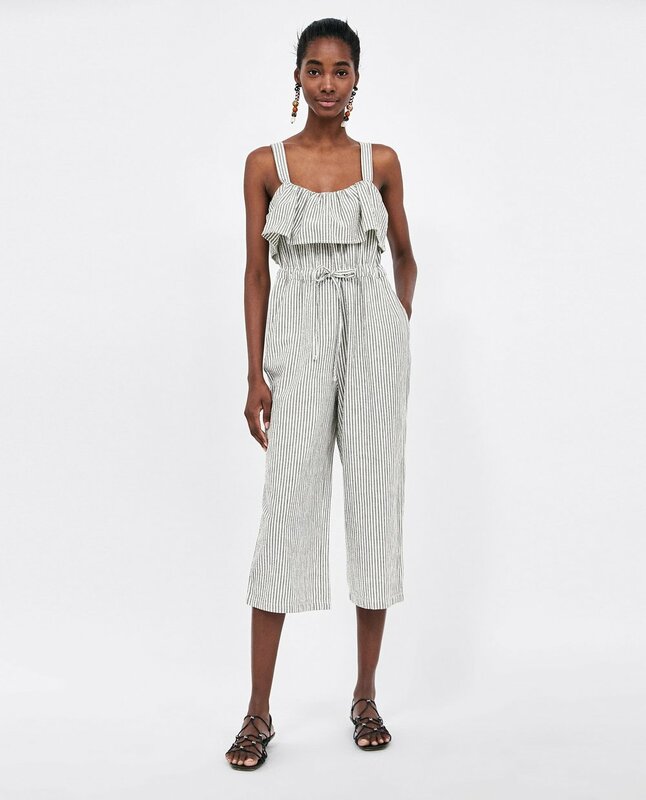 These jumpsuits are perfect for day to night and most (not all) of them are professional enough to wear to work with a blazer and go straight to dinner with friends. We can't wait to start wearing our summer jumpsuits. How about you? In case you are wondering PLAYSUITS are jumpsuits but shorter. Great if you want to wear something that shows a little more leg but won't blow up in the wind in the summer! Like this first Zimmerman one!